OrgPlus Express is a FREE Microsoft Office Add-in for easily creating and maintaining org charts using Word, Excel, PowerPoint or Visio. No drawing is required. Simply click to add up to 30 boxes in a single page organizational chart, double-click to add fields and drag-and-drop to instantly rearrange. 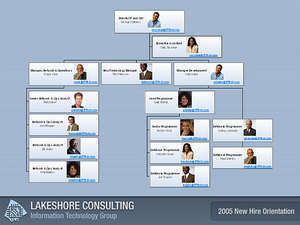 OrgPlus Express fits seamlessly into Microsoft Office and opens any organization chart created in Microsoft Org Chart 2. Version 8.1.3 is a freeware program which does not have restrictions and it's free so it doesn't cost anything. For security reasons, you should also check out the OrgPlus Express download at LO4D.com which includes virus and malware tests. Additional screenshots of this application download may be available, too. 3.87 out of 5 based on 8 ratings. OrgPlus Express has a presence on social networks.